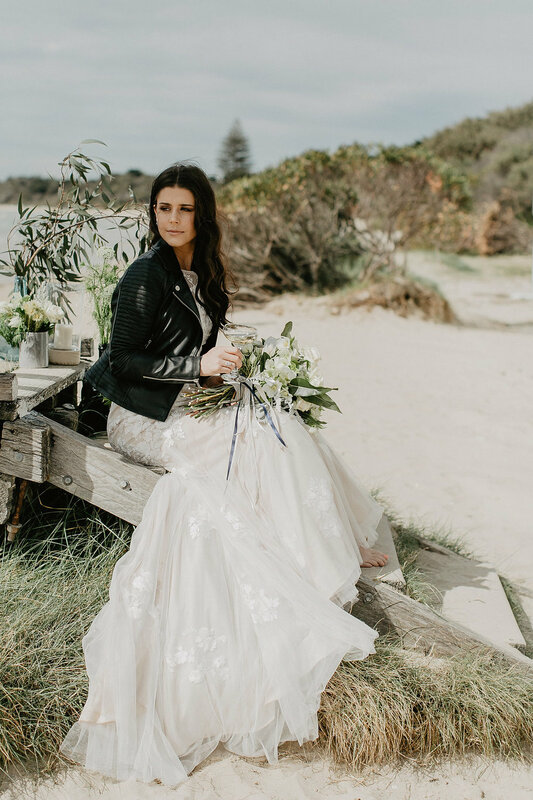 A few weeks ago the members of TOAST Weddings came together to welcome in spring and the beginning of the wedding season with a fabulous styled shoot and shared luncheon at The Baths in Sorrento. 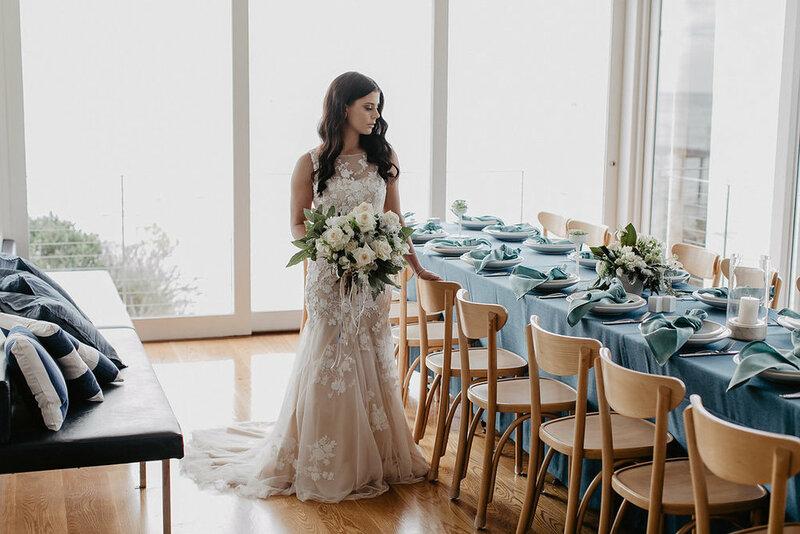 Love Carli were asked to collaborate along side other talented TOAST members to create a fresh and elegant spring ‘wedding’ scene drawing on the seaside location for inspiration. 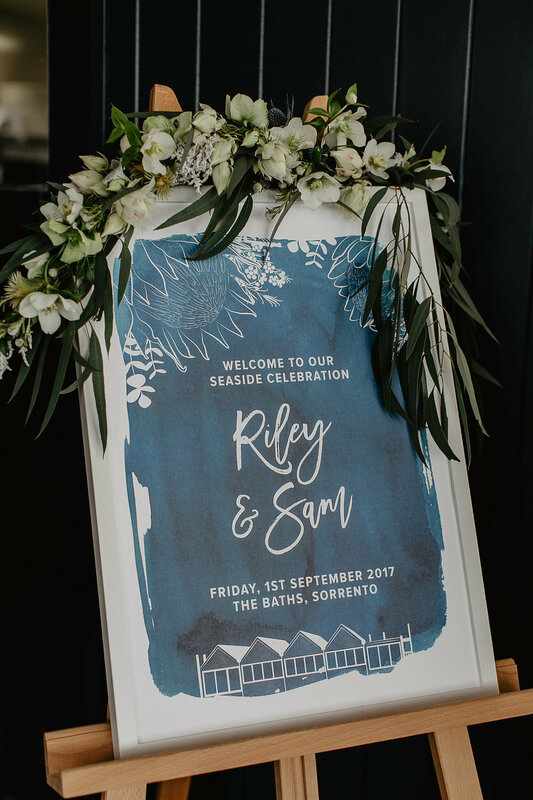 Setting the tone for the celebration the custom wedding stationery and signage we created for the shoot highlighted the venue and location, with custom illustrations of the Bath’s newly renovated building and the Sorrento Pier surrounded by coastal florals with watercolour textures and a navy palette. A long, communal table, in our own private dining area, was set and styled by the TOAST ladies, Carrie and Tash with beautiful textural linen from Simmons Linen Hire, lush florals by Hello Blossoms and place cards and menus by us. Whilst taking in gorgeous views of the Sorrento front beach, we were treated to a delicious lunch from The Bath’s chefs - charcuterie platters and shared plates of mussels, calamari, salad and sweet potato fries. For dessert we cut the amazing watercolour cake created by the girls at Sweets for Tilly. 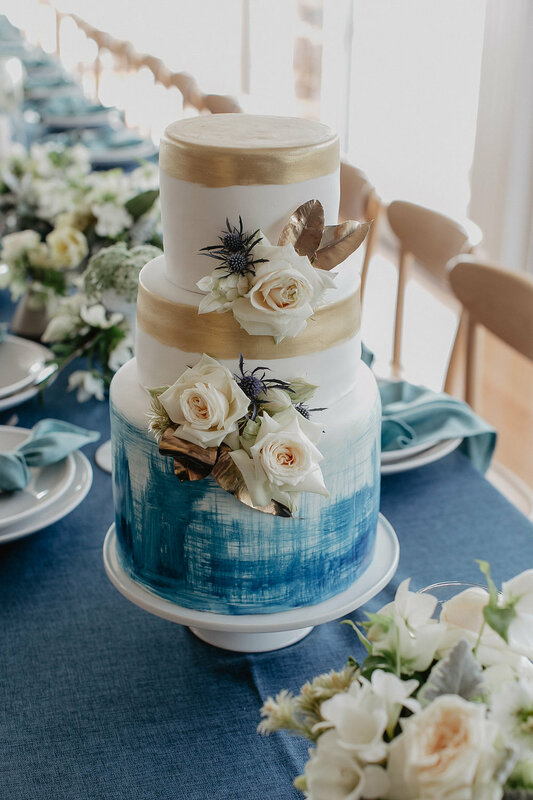 The day was captured beautifully by White Shutter Photography and Zephyr Productions and was also featured recently over on Ivory Tribe.